We’d love your help. Let us know what’s wrong with this preview of The War Come Home by Deborah Cohen. At the heart of this Disabled veterans were the First World War's most conspicuous legacy. Nearly eight million men in Europe returned from the First World War permanently disabled by injury or disease. 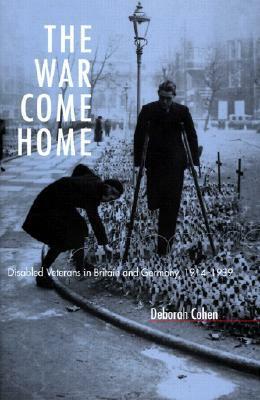 In The War Come Home, Deborah Cohen offers a comparative analysis of the very different ways in which two belligerent nations--Germany and Britain--cared for their disabled. To ask other readers questions about The War Come Home, please sign up.